Live near the seashore, or a pond, lake or river? Then turn some heads with a couple of remote control boats! Although RC cars and planes get all the attention, don't forget remote control boats! RC boats can be just as nuch fun as the other remote control hobbies! There are tons of RC boat brands and styles, ranging from professional racing models to sailing vessels to toy-grade RC watercraft for the kids. There are a few things to think about before you get out the credit card. The shape of the boat hull has a significant impact on how it handles and performs in the water. There are basically 4 types: catamarans, sailboats, deep-V and Mini. The Deep-V is probably the most popular for hobby-grade RC boats, as they are the fastest design on the water. 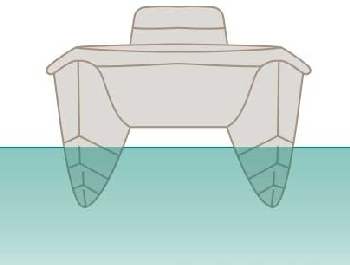 Catamaran is also utilized due to it's easier to handle and stabilizing "double pontoon" hull shape. 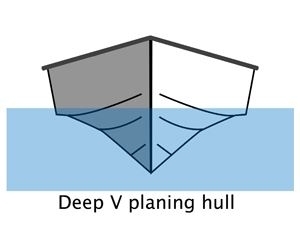 The trade-off is that catamarans are not as fast as deep-V.
Minis are just what they sound like; smaller remote control boats. They are cheaper, usually sold as RTR (Ready To Run), and great for kids or beginners just wanting to "get their feet wet". 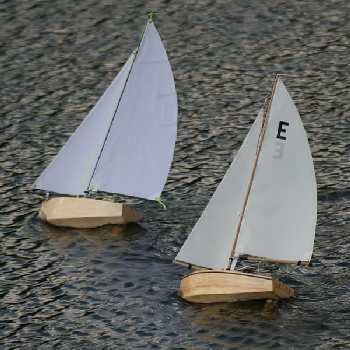 Model sailboats in the hobby boat realm use no power other than the wind. They are a different sport entirely, and might be just the ticket if you want to learn the principles of sailing and challenge your boat-handling skills to the max. There's three ways you can go with this in the world of RC boats: electric (battery pack), 2-cycle gasoline engine, or Nitro-powered. Used to be all serious RC boat hobbyists ran only fuel-powered engines. But advances in electric motor and battery technology, as well as ease of use, have pushed the battery-driven boats ahead in popularity. 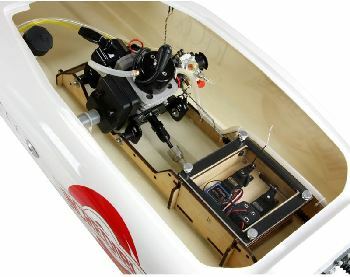 You might want to consider a Nitro or gas-engine RC boat as your skill levels increase beyond the beginner level. We recommend an electric boat for your first purchase. But there are also two different types of electric motors to consider: brushed or brushless. Brushed motor systems: A little slower but still tons of fun; good for beginners and/or children. Brushless motors: More costly, more efficient and fast; more power and acceleration than brushed motors. We selected some popular beginner RC boats below. You may use our Amazon affiliate links below for a seamless buying experience. Or what about RC cars or RC planes? Drones are hot! Visit Drones 101 to get up to speed!